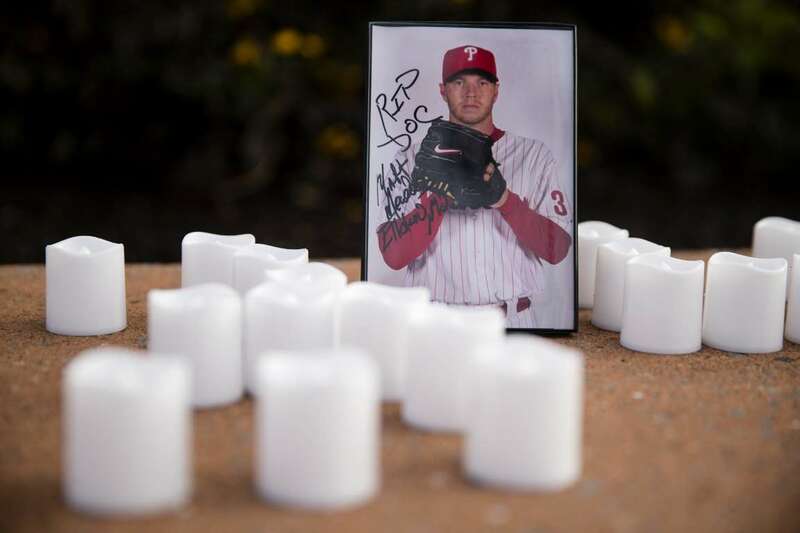 A memento is set in remembrance of former Phillies pitcher Roy Halladay outside Citizens Bank Park in Philadelphia on Wednesday. Halladay, a two-time Cy Young Award winner who pitched a perfect game and a playoff no-hitter for the Phillies, died when his private plane crashed into the Gulf of Mexico. He was 40.